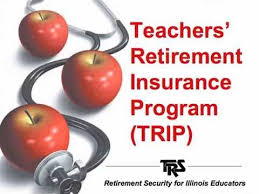 Benefit recipients who enroll in the Teachers’ Retirement Insurance Program (TRIP) receive health, prescription and behavioral health coverage. Dependent beneficiaries can be enrolled in the program at an additional cost and will have the same health plan as the benefit recipient. The monthly premium is based on the type of coverage selected and the permanent residence on file with TRS. Further information about MyBenefits Service Center is available at https://www.illinois.gov/cms/benefits/Teachers/Pages/TRIPContactInformation.aspx. The 2018 Benefit Choice Period for insurance changes during the fiscal year that begins on July 1 is May 1 through May 31, 2018. The period allows benefit recipients to change health plans and/or add eligible dependent coverage if never previously enrolled. "…[February 14, 2018] mark[ed] the Illinois Governor’s final budget address of his first term, and already he is again proposing balancing the budget on the backs of retirees, teachers and state employees. 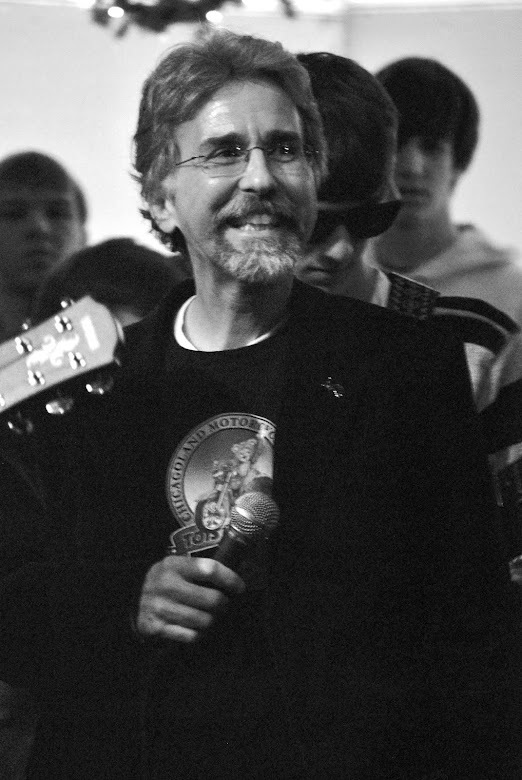 "He has zeroed out any funding for the Teachers Retirement Insurance Program. In addition, he is proposing lowering the states cost to TRS by shifting cost to local school districts..."
TRIP is the umbrella term for all retirees. When a retiree is over 65, he or she enters TRAIL. The State of Illinois is supposed to pay between 50-75 percent of the retiree's premium, depending upon choice of program. For example, the current monthly premium for United Healthcare is $257.73; the retiree pays a monthly premium to Medicare and a premium of $57.77 to United Healthcare. The State of Illinois is supposed to pay the rest. Abdon Pallasch, Director of Communications, Illinois Comptroller’s office. We can agree on the cause of the delayed payments to the Teacher Health Insurance Security Fund and many other deserving funds around the state: Governor Rauner’s manufactured budget crisis. The most prominent voice exposing Governor Rauner’s attacks on worthy institutions around the state belongs to Comptroller Susana Mendoza. The state of Illinois continues to deal with a fiscal crisis that resulted from the lack of a complete budget for two years, during which the estimated backlog of bills had more than tripled by the end of FY 2017 and reached an all-time high of $16.7 billion later in the year. The passage of the fiscal year 2018 budget did not mean an immediate reversal of the damage that was done from the budget impasse. On a daily basis, the Office of the Comptroller continues to triage outstanding vouchers and transfers given limited resources in the state treasury. Throughout fiscal year 2018, despite facing substantial backlogs, we continue to make critical payments for pension contributions to the Teachers’ Retirement System and grant payments to K-12 schools, including funds through the Evidence-Based Funding formula. The office also paid the second quarter mandated categorical grants in April – several months earlier than the previous fiscal year. In addition to these payments, our office has been able to make $36.5 million in transfers to the Teacher Health Insurance Security Fund. Benefitting from additional receipts coming into the state treasury in the spring, and after seeing some stabilization in the state’s finances, the Office of the Comptroller provided $18.3 million to the Teacher Health Insurance Security Fund in March from the General Revenue Fund, and two additional monthly transfers, each at $9.1 million, were processed in April and May. It is our understanding that other deposits into the fund are made on an ongoing basis and that services to members have not been disrupted. The Office is working with limited state resources to address more than $2.1 billion in fund transfers that are still pending, while facing an estimated $7.3 billion bill backlog today. The decision to release these payments, and future payments, is solely dependent on the availability of state funds. It should be noted that the Office has even older transfer requests from fiscal year 2016 that we are working to address. The Office will continue to inform the Teachers’ Retirement System and Central Management Services on the ongoing condition of state finances and further provide the status of pending transfers. All required payments owed to the Teacher Health Insurance Security Fund will be paid. We are hopeful that the Legislature will insist, once again, that having a complete 12-month budget for fiscal year 2019 is essential for the state of Illinois. Once the Office reviews a final fiscal year 2019 budget, we will be better able to develop a path to make the payments owed by the state.